How can Conch Shells change your life? You probably would have known the conch shells as home to sea borne marine snails. But in India, whose map itself is in the shape of a conch shell, the conch shell is revered and used for divine purposes. In the long and luminous spiritual tradition of India, the role of conch shells is incredibly significant but one that is hardly known to the outer world. 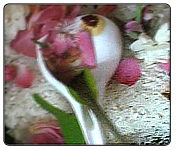 Conch Shells are a divine gift and a treasure to mankind which preserve the bhakti bhava (prayerful attitude) of mankind. Conch Shells promote, preserve your truth and integrity. Conch Shell abhishekams have been practised for many centuries to obtain incredible secretive material and spiritual blessings. This is a closely guarded spiritual secret known only to discerning few. The spiritual science behind the Conch Shell Abhishekam is that all the sacred sounds including the greatest mantra, ‘Om’, the sound that created this entire universe is present in the Conch Shell. The sacred mantras and Vedas are absorbed by the Conch Shells and presented to humanity. If your home or shrine uses Conch Shells for prayer, the entire area is purified and becomes a place of happiness, divinity and incredible prosperity. Vedas state that Banker in Heaven, Kubera lives in the Conch Shell along with Mahalakshmi. When you regularly conduct Abhishekams and worship using the right threaded Conch shell known as ‘Valam Puri Sanku’, you receive great material blessings. As per Siddhas, the Conch Shells are actually an essence of divinity. 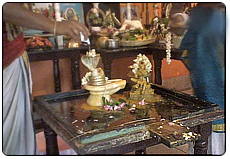 It has the blessings of the celestials to participate in the poojas and rituals. Just like how the lamps are used for worship on land, the Siddhas say that underwater beings also perform prayers using lamps. The celestial beings associated with the conch shells help to light lamps under water for the benefit of sea beings. Though to our intellect, this might look out of bounds, it is very true as per Siddhas. Dattatreya Siva Baba introduces to you, a special form of Lord Shiva, known as ‘Shanka Taranyar’. This form of Lord Shiva helps to remove negative vibrations, ensures longevity of partners and removes any obstacles to both material and spiritual endeavours. The conch shell abhishekam ritual to this form of Lord Shiva during Pradoshams is very special. The Pradosham falling on Aug 3rd, is the day of Soma Pradosham, which means a Pradosham falling on Monday. The Pradoshams falling on Monday and Saturday are considered especially beneficial time period to remove stubborn Karmas. When the pooja and abhisehkam to Lord Shiva and Nandi is performed with 108 Conch Shells, it provides miraculous benefits. Astroved is organizing a very special karma removing Pradosham Abhishekam with 108 Conch Shells on the Soma Pradosham day at the Dattatreya Siva Baba Homa center. Please join in and receive your blessings. You can also capture the power of this ritual by getting an energized Nandhi Statue. These beautiful Nandhi’s have captured the power of pradosham so you can perform a milk abishekam in your own home for continual karma removal.